I am still searching for the right places to sell my products, which is great because it has taken Darren and I to some wonderful markets all across the city. 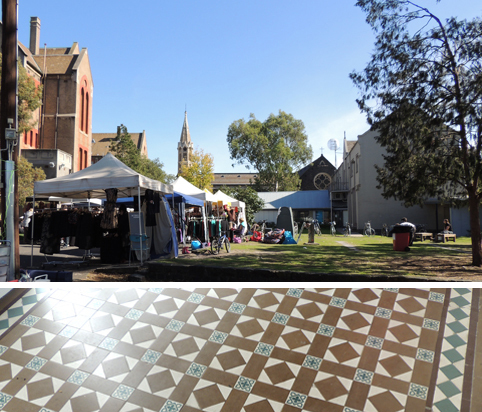 This Sunday we went to the Abbotsford Convent complex because on the third Sunday of each month they have a Makers Market. The complex is wonderful - it is an old converted convent and has an art gallery, coffee shop and many other attractions such as the Sunday markets. The buildings and grounds are so beautiful. Even the toilets have great murals on the back of the doors. It is a perfect family outing with lovely wares for sale. 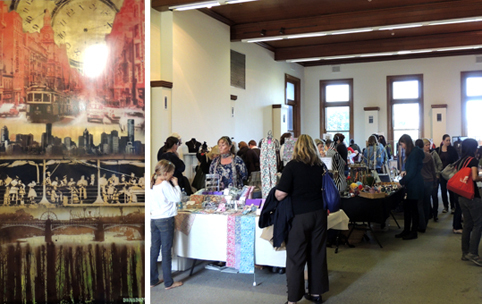 The Makers Market is held inside one of the old buildings and so would be a great Sunday activity even if it was raining. It is not overwhelmingly large, but has some stunning stalls. Here are some of my favourites. Sandra Eterovic really stood out. I did not realise it at the time but she is the same artist I had just seen on The Jealous Curator's site. 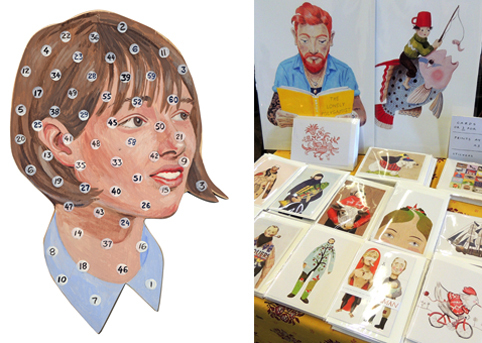 She makes beautiful prints, paintings, cutouts and cards and has an etsy shop if you can't make it to the market. 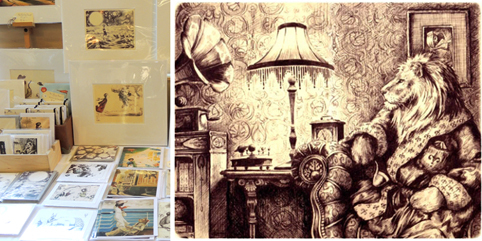 Another wonderful stall was that of E.M. Hurst who is a children's book illustrator and fine artist. Her work is delightfully whimsical. She sells digital prints and cards among other things online. The colourful world of Square Patch also caught my eye. I love her use of recycled vintage kimonos. 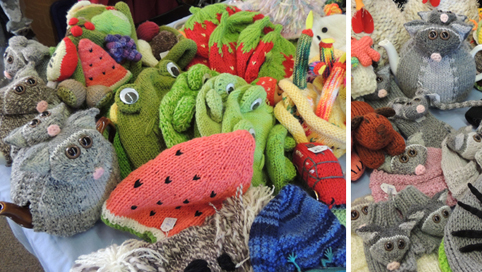 While there were many great stalls there I am going to finish off with Lyn Paterson's delightful knitted goodies. I love the possum everythings and the great strawberry and watermelon kiddies hats are fab. Unfortunately she does not have an online presence, but all the more encouragment to go and see for yourself next month. 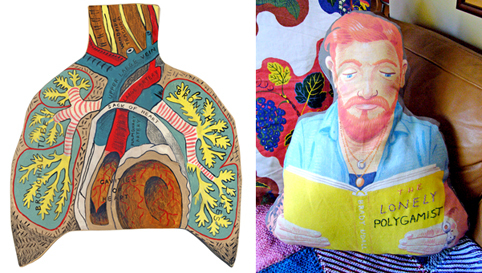 Thank you very much Bronwen, the pictures look great! Good to meet you.